Our aquacultural sheets and bags-fish pond plastic liner have been carefully formulated to ensure a durable and impervious surface suitable for different types of aquaculture application and needs. 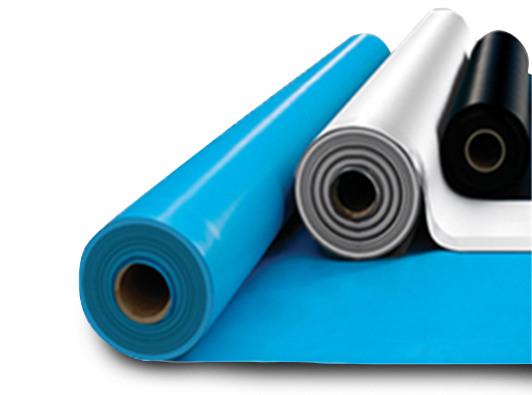 They are available in a range of thickness and roll size. We are also able to customize them according to customer’s specification and requirements. Cost effective by using fish pond plastic liner. Lightweight, flexible, and easy to clean. Can be constructed and tailored based on the needs. Excellent in Physical and Mechanical properties and resistant to oil, salt, acid and alkali. Thin, fairly light weight but their properties are surprisingly strong erosion control. Save on fertilizers and pesticide costs when used in conjunction with drip irrigation. Leads to better root development and a cleaner crop. Maintains soil moisture leading to reduced need for irrigation by up to 70%. Maintain soil structure and enhances carbon dioxide levels leading to improved photosynthesis. Provides barrier to soil pathogens. Establish erosion control, improve crops quality and prevent weed growth.